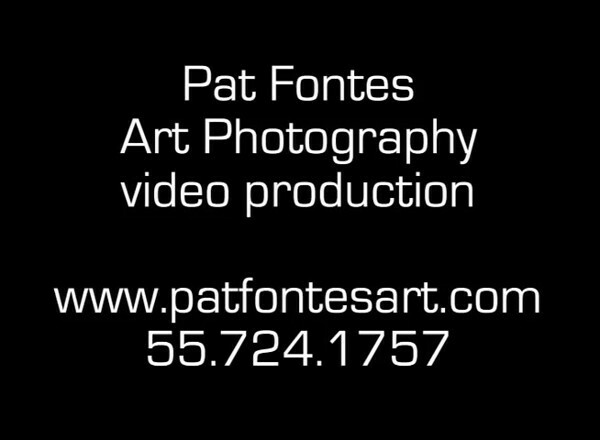 In addition to twenty years of photography experience, Pat Fontes also offers videography for your event. Pat employs the same high standards and attention to detail for his client’s videos as he does for photography. This page highlights a recent, unique wedding. 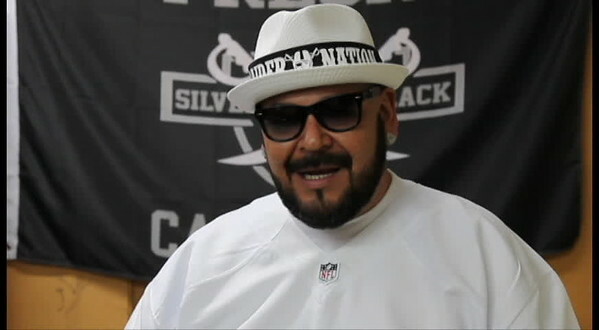 The clients showcased their wedding in an NFL Raiders theme. 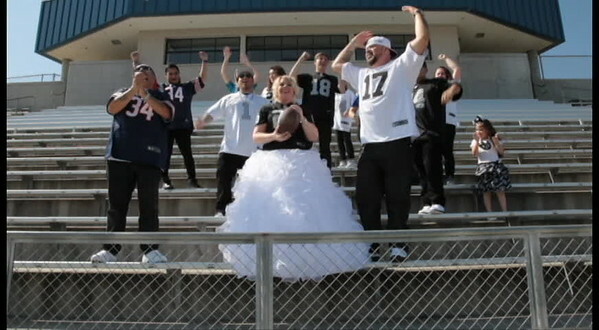 The bride, groom wore specially designed Raiders’ jerseys, while guests were encouraged to sport jerseys from their favorite NFL team. Raiders jerseys dominated. 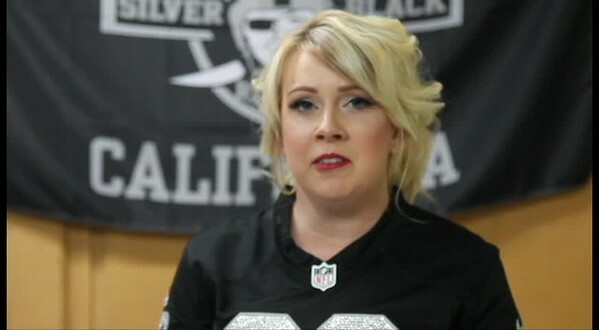 Following is a break down of video elements from that special wedding where Harleys and the Raider Nation proudly surrounded one beautiful bride. Every wedding is unique in its own way, from a Raider Nation wedding, to a traditional Christian church-based wedding. Some weddings are quiet affairs, while others throw a loud, joy-filled celebration with drink, dancing and laughter. No matter what style or tradition you choose to celebrate your wedding, Pat Fontes will capture the spirit of the event, combining traditional and journalistic approaches. 7) A fully edited movie, usually between 45 mins. to an hour long.